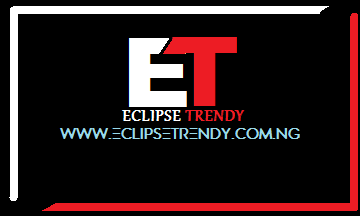 Home » » 14-year-old SS2 Student Allegedly Commits Suicide, Because He Failed a Class. 14-year-old SS2 Student Allegedly Commits Suicide, Because He Failed a Class. 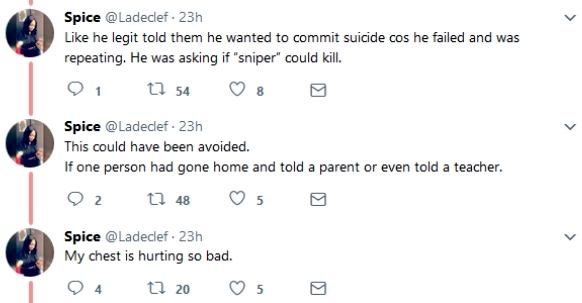 A Nigerian Twitter user identified simply as Spice (@ladeclef), has taken to the social networking platform to narrate how her sister in SS2, told her that a 14-year-old boy in her class committed suicide by drinking sniper because he failed and had to repeat a class. The sad incident left many people in the boy's class very traumatized. The identity of the victim or where the incident happened in the country were not ascertained at the time of filing this report.